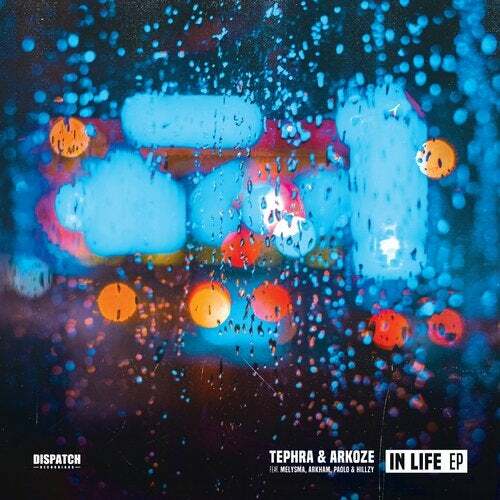 Tephra & Arkoze are back again with an EP packed full of collaborations and some of their best music to date. Long time friends Paolo & Hillzy worked with the pair for two tunes - the title track ?In Life? and also ?Work it Out?, where they are joined by another long-time Dispatch favourite, MC Fokus. ?Perceptions? featuring Melysma opens the EP and is a rough, rolling debut collaboration, with promise of more to come from this trio it marks the start of series of future work. ?French Connection? is the appropriately titled minimal stepper, created by the cross channel production trio of Tephra, Arkoze and Arkham.